For better or worse, we are not one of those families that unplugs during vacation. In fact, when looking at vacation rentals, a lack of television is a deal breaker, for a couple of reasons. 1) I don't get to watch that much TV in everyday life, so I associate TV watching with luxury, and vacation should be filled with luxuries, but most importantly 2) TV is our babysitter. It occupies our kids when they need occupying and it provides us with short increments of time to just take a breather. Without 24 minute Disney Jr. episodes, I may well have lost sanity long ago. We went to Bethany Beach over Memorial Day weekend (after falling in love with it last Memorial Day). We researched multiple condos/beach rentals, and settled on a large unit in Sea Colony. From the pictures, it looked beautiful - large enough for my and my sister's family, a beautiful ocean view, and four, count them FOUR TVs! One in each bedroom. And a huge one in the living room. When we walked in the unit, it didn't disappoint. I mean, just look at the view! But at some point that first afternoon, we went to turn on the TV for the kids. I was hoping for Disney Jr., but at a minimum, there should be Nickelodeon. It's then that we realized. We only had basic cable. Four TVs, one of which was a 60 inch flat screen, and only 13 channels? I began to have a minor panic attack. Until my husband pointed out the amazing, obvious fact that "Well, at least we have our I-pads. Why don't we just let them watch Netflix?" We did not turn any of the four TVs for the entire long weekend. A record for us, indeed. But when we needed our electronic babysitter, Netflix was there to save us. 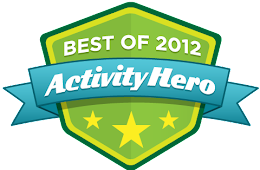 In fact, it alleviated the routine battle over who gets to pick what show. Each kid got their own I-pad and got to pick their own shows. Everybody wins! I originally was going to write this post about what shows captured my kids' attention, but I have to make an admission. I don't even know what they were watching. At 4 and 6, they both operate the iPads on their own. And during those precious half hour increments, I would shower, put the baby to bed, or gaze at the ocean from our deck whilst sipping a nice cold glass of Sauvignon Blanc. It's back! 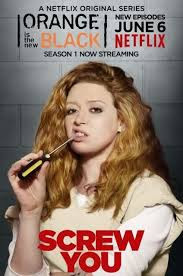 The first season of Orange is the New Black, a Netflix original series based on the true story of a woman in her 30s who goes to prison for a crime she committed a decade earlier, is one of my favorites. I think I watched all 13 episodes in about four days, most of which occurred early in the morning hours where after each one I would promise myself just one more, and before I knew it it was 3am and I spent the next day exhausted (and waiting until the kids went to bed so I could watch more). I didn't think the second season was as compelling, but I have faith that it can return to its first season glory. New episodes are available on Netflix on June 12 (and you can live stream Seasons 1 and 2 right now). So I've actually never watched this show. But a few months ago, my husband and I watched a couple of Louie CK stand up specials and we were both dying laughing. And I feel like that's kind of rare - to be alone in your living room and keeling over in absolute laughter. He was completely inappropriate and crass, but I couldn't stop watching and it has inspired me to put this on my list for the summer. 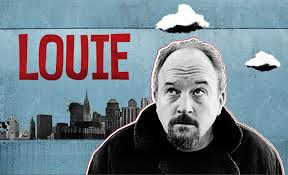 The show itself (which ran from 2010-2014 on FX) received vast critical acclaim, and Louie himself received several Emmys, so that has to say something. "Well, there's good news and bad news. 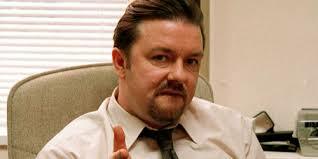 The bad news is that Neil will be taking over both branches, and some of you will lose your jobs. Those of you who are kept on will have to relocate to Swindon, if you want to stay. I know, gutting. On a more positive note, the good news is, I've been promoted. So every cloud.... You're still thinking about the bad news, aren't you?" Happy vacationing, and happy Netflixing! I LOVE Sea Colony. My best friend's aunt has a condo there so we've been a few times. This summer we'll be vacationing at Sea Colony West, so we will have a ground level detached condo which will be great for the kids, but not oceanfront. I love that Netflix has a Children's user so that if we were to let our son use it, he'd only have kids shows to choice from.